Jacobus Arminius, also called Jacob Arminius, James Arminius, and his Dutch name Jacob Harmenszoon (October 10, 1560 – October 19, 1609), was a Dutch theologian and (from 1603) professor in theology at the University of Leiden. He wrote many books about theological problems. Arminius is best known for his critique of the strict "high Calvinism" that emerged after Calvin's death, which argued that the Human Fall was predestined by God as part of the plan to save the "elect." In his early years Arminius affirmed the traditional Calvinist view of predestination, holding that God had chosen those who were to be saved or damned even before Adam's fall. Gradually, however, he came to view this version of predestination as portraying God as responsible for evil and denying human free will in the process of salvation. Although he considered his own thought to be harmonious with Calvin's teaching, Aminius thus came to criticize the prevailing Dutch attitude toward predestination. He insisted that God does not determine whether or not a person responds in faith to God's grace. Arminius' thought had an important impact on later Protestant theology, providing a way for many Christians to reconcile the doctrine of God's sovereignty and omniscience with the concept of human free will. He was particularly influential in the theology of Methodists, Baptists, and others, especially in England and the United States. Jacobus Arminius was born in 1559, only five years before the death of John Calvin, at Oudewater, Utrecht. His father, Herman, died while Jacob was an infant, leaving his mother a widow with small children. A priest, Theodorus Aemilius, adopted Jacob and sent him to school at Utrecht. His mother was slain during the Spanish massacre of Oudewater in 1575. About that year Arminius was sent to study theology at the University of Leiden, supported by the kindness of friends. Arminius enrolled at Leiden at the age of 17. Arminius remained at Leiden from 1576 to 1582. His teachers in theology included Lambertus Danaeus, Johannes Drusius, Guillaume Feuguereius, and Johann Kolmann. Kolmann believed and taught that high Calvinism—which emphasized God's absolute sovereignty and the doctrine of predestination—made God both a tyrant and an executioner. Under the influence of these men, Arminius studied with success and had seeds planted that would begin to develop into a theology that would later compete with the dominant Reformed theology of John Calvin. After completing his education at Leiden Aminius, he was still too young for a pastorate. He then traveled to study at Calvin's academy in Geneva. 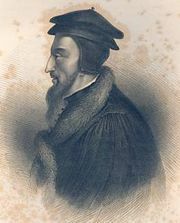 Theodore Beza, Calvin's hand-picked successor, was the chairman of theology at the university, and admiration flowed both directions in his friendship with Arminius. Beza later defended Arminius by saying "let it be known to you that from the time Arminius returned to us from Basel, his life and learning both have so approved themselves to us, that we hope the best of him in every respect…"
In late 1587, at the age of 28, Arminius returned to Amsterdam to fulfill his desire to serve as a minister. He was soon invited to serve there and was ordained as pastor in 1588. He was reputed to be a good preacher and faithful minister of the Gospel. In 1590 he married Lijsbet Reael. Arminius' entry into the predestination debate that was raging in Amsterdam began two years after his return, when he was asked by city officials to refute a modified form of Beza's high Calvinism. Arminius' study of the scriptures had led him to the conclusion that the Bible did not support a strict interpretation of predestination. However, he was not a controversialist by nature and did not escalate the debate. Nevertheless, when Arminius received his doctorate and professorship of theology at Leiden in 1603, the argument over Calvinism roared back to life. Arminius rose to the forefront of the debate, teaching that the high Calvinist views of absolute predestination and unconditional election made God the author of evil. Arminius insisted that God's election of believers was conditional on their response in faith. Furthermore, Arminius argued, God's exhaustive foreknowledge does not mean that he predetermines whether a person will respond in faith to God's grace or not. Arminius and his followers believed that a national synod should meet to win tolerance for their views. His opponents, resisting any changes to the strict Calvinist confessions of the Dutch Reformed Church, maintained the authority of local synods and denied the necessity of a national convention. 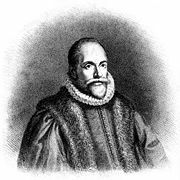 When the Dutch State General finally called together both parties, Arminius' opponents—led by fellow professor Franciscus Gomarus—accused him of errors regarding the doctrine of grace, the authority of scripture, the Trinity, original sin, and salvation. 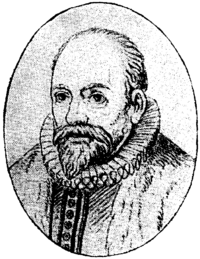 Arminius not only denied the charges, but argued that his views were more compatible with Calvin's than were those of his opponents. While Arminius was acquitted of any doctrinal error, the process left him terribly weak. Still seeking to win legal tolerance for his views, he accepted an invitation of the State General to a "friendly conference" with Gomarus but his health caused the conference to end prematurely. Two months later, on October 19, 1609, Jacobus Arminius died. Grace is resistible: God takes initiative in the salvation process and His grace comes to all people. This grace acts on all people to convince them of the Gospel and draw them strongly toward salvation. However, the offer of salvation through grace does not act irresistibly in a purely cause-effect, deterministic method. Contrary to Calvin, Luther, and Augustine—who held that God's grace is "irresistible"—Aminius taught that grace can be both freely accepted and freely denied by humans. Man has free will to respond or resist: Free will is limited by God's sovereignty, but God allows all people the choice to accept the Gospel through faith, simultaneously allowing all men to resist. Although God is omnipotent, He thus chooses to cede a portion of his power to humans. Election is conditional: Arminius defined election as "the decree of God by which, of Himself, from eternity, He decreed to justify in Christ, believers, and to accept them unto eternal life." God alone determines who will be saved and his determination is that all who believe in Jesus through faith will be justified. Yet, those who are elected remain free to resist and thus frustrate God's will to save them. The theology later known as Arminianism was not fully developed during Arminius' time, but was systematized after his death and formalized in the Five articles of the Remonstrants in 1610. Written by a leading minister of Utrecht, Johannes Uyttenbogaert, this document became the basis of what came to be known as Arminianism. The movement suffered a setback in 1618–19, when it was ultimately rejected by the Synod of Dort (Dordrecht), where it was condemned by representatives not only of the Dutch Reformed Church but also by Reformed churches in England, Germany, and Switzerland. Those Arminians present were expelled, and adherents of the doctrine suffered persecution. However, the works of Arminius (in Latin) were published at Leiden in 1629, and at Frankfort in 1631 and 1635. The Remonstrant Arminians won a degree of legal toleration by 1630. Their doctrine would not be officially recognized in the Netherlands, however, until 1795. 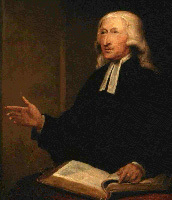 John Wesley, founder of the Methodist movement, embraced Arminian theology and became its most prominent champion. Today, Methodism remains committed to Arminian theology, and Arminianism itself has become one of the dominant theological systems in the United States. ↑ Carl Bangs (Arminius; a study in the Dutch Reformation), 25. This page was last modified on 13 March 2018, at 15:32.